Technology Services of Iowa, LLC: Kodak Pulse! 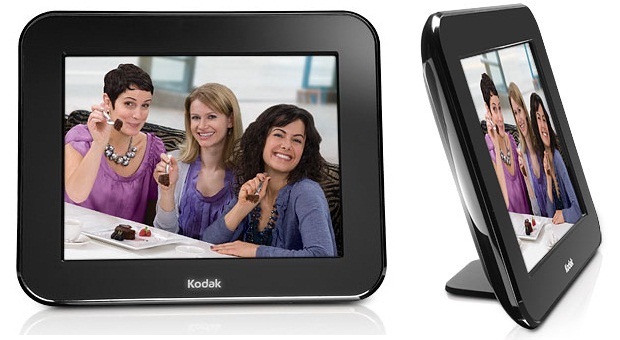 The Wi-Fi-enabled digital photo frame Kodak Pulse is one of the most versatile digital photo frames you can buy! Simplicity, convenience and low price make the latest Pulse one of the best digital photo frames available. You know how good it feels to come home to find an unexpected gift from a friend? That’s the same excitement you get every day with the KODAK PULSE Digital Frame. Now anyone can send pictures right to your frame, giving you continuous surprises. Adding your own pictures is easy too. It doesn’t slow you down with time-consuming software setups or complicated technology. It makes connecting with friends and family simple, so you’ll always have new pictures to relive and enjoy. Send pictures from a computer! E-mail pictures from mobile phones as soon as they’re taken—perfect for sharing on-the-go! Come on down to your Kalona RadioShack and let us show you!